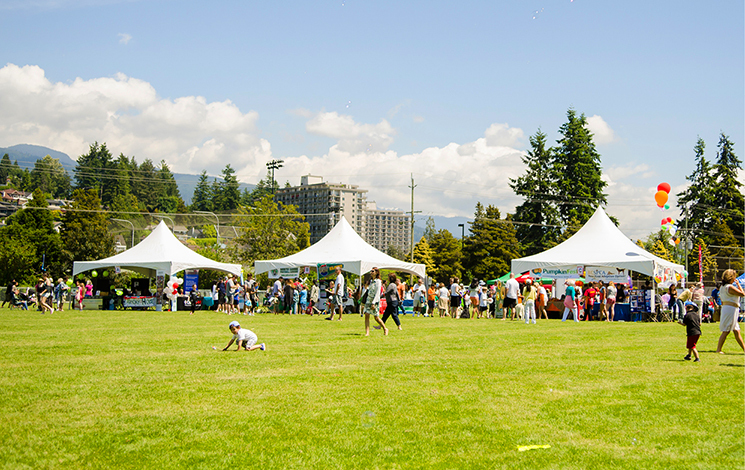 Many organizations hold fundraisers and events in parks. If you would like to apply to host a public event in one of West Vancouver's parks, you will need to apply for a special events permit. Fill out the Special Events Permit Application. Submit your application to the Special Events Coordinator. Once your application has been reviewed and approved, you will be contacted by a Special Events representative who will confirm conditions of use, fees and event details with you. If you are hosting an event with vendors, and/or are a for-profit event, you will also need a Business Licence as the organizer. Write “Special Event” under Business Description. The Special Event Permit Fee is $150 plus tax for not-for-profit events and $300 plus tax for commercial events. Will your event have food vendors? A West Vancouver Business Licence: all vendors need a West Vancouver Business Licence and should indicate on the licence application that they are applying for a Peddler’s Licence, valid in West Vancouver at one or more events during the calendar year. They can indicate “Peddler’s Licence” under Business Description. A Temporary Food Service Application for food vendors. This is a Vancouver Coastal Health (VCH) requirement and needs to be submitted by the event coordinator or food service provider to the VCH health office a minimum of 14 days before the event.